PROTECTOR will launch their 6th LP "Cursed And Coronated" next February 26th via High Roller Records. 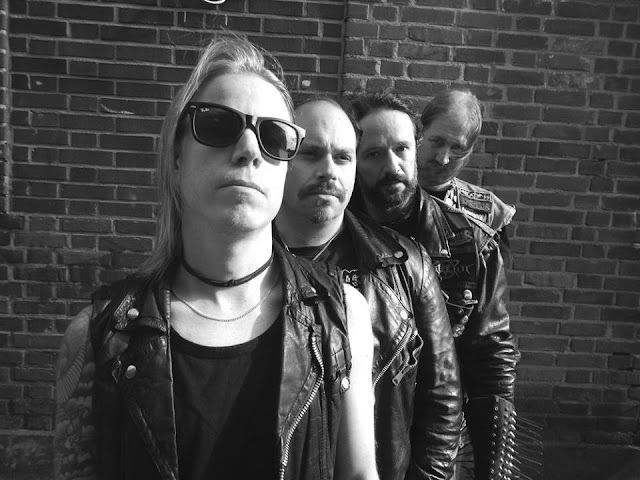 The label will also reissue on vinyl the three PROTECTOR classics "Leviathans Desire", "A Shedding of Skin" and "The Heritage", while "Misanthropy", "Golem" and "Urm the Mad" have already been re-released earlier in 2015. We already posted info about the vinyl versions of "Cursed and Coronated" [here], title track below. Iron bonehead has also reissued BAPHOMET´S BLOOD first three full-lenghts "Satanic Metal Attack", "Second Strike" and "Metal Damnation" 12"LP on cool special editions, each limited to 500 copies. 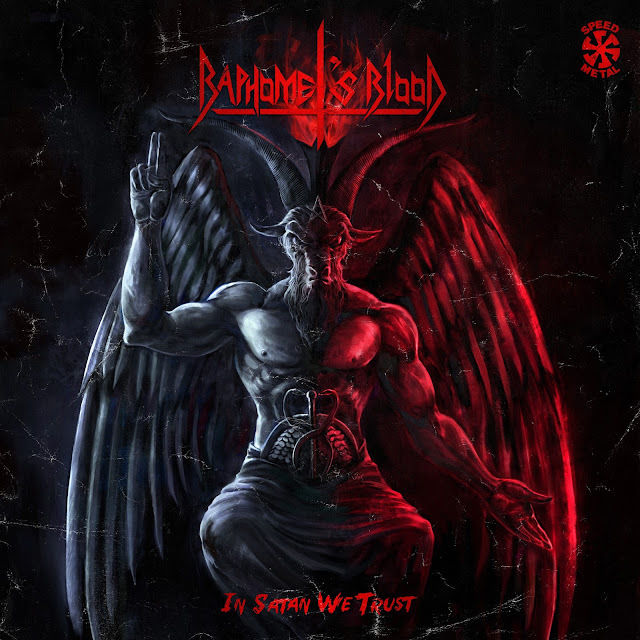 Below you can stream "In Satan We Trust" in its entirety, no need to say but...play it loud!!! 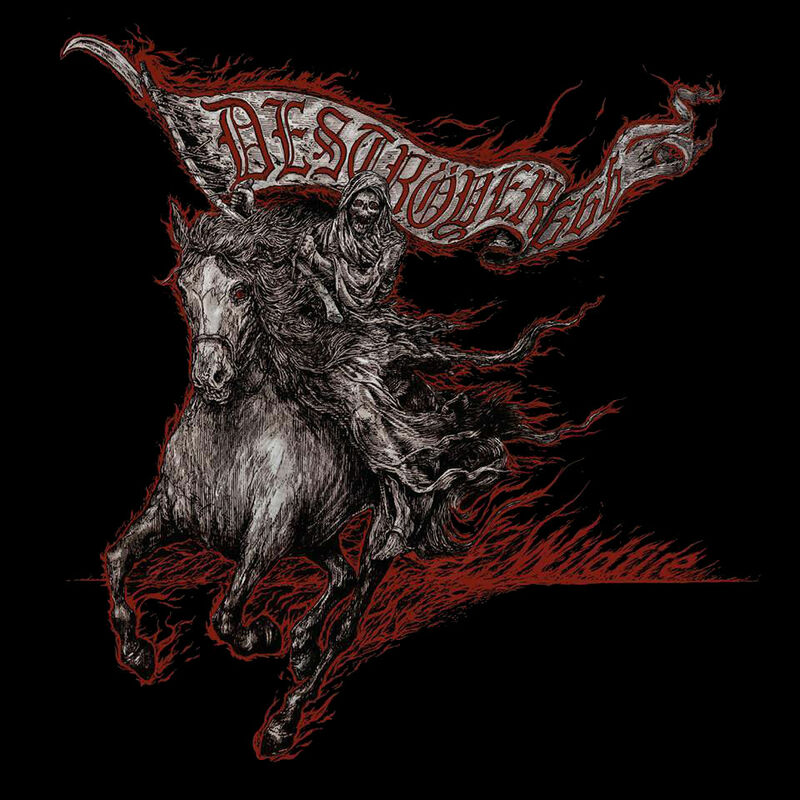 Second single from DESTROYER 666 upcoming LP. The song "Hymn To Dionysus". "Wildfire" will be released next february 26th via Season of Mist. 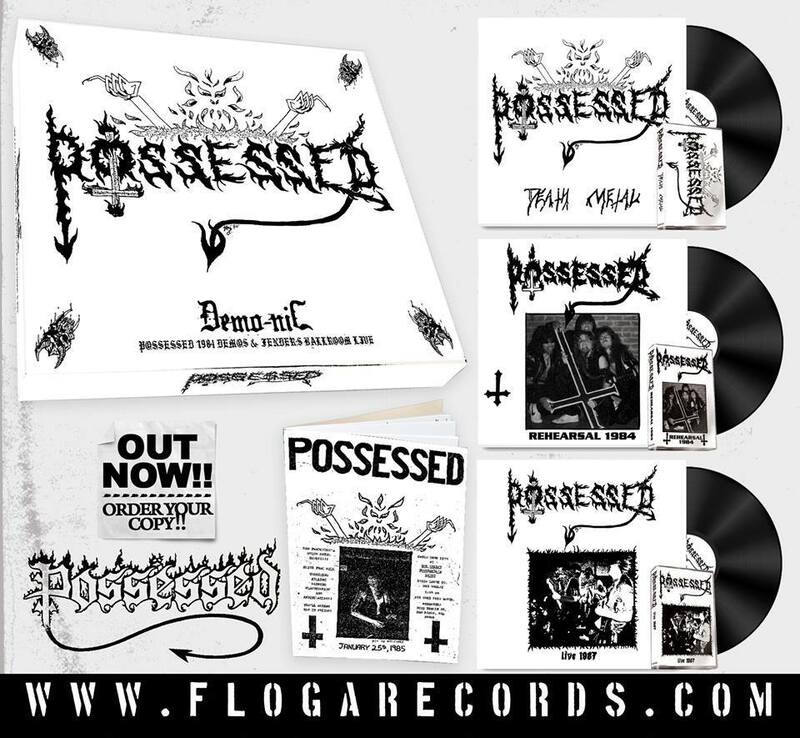 Floga Records is releasing a cool box set of POSSESSED 1984 demos + live recording. The "DEMO-NIC" Boxset includes 3 LPs + 3 TAPES + 44 pages fanzine!!! Limited to 550 [black] 350 [white] and 150 [splatter]. Release date January 31st! More info at this location. Let's talk a little bit about the history behind TEMPLE BELOW. How and when did the band was put togetHer? zazaz zazas nasatanada zazas! Ave! The Coven of the Temple Below is grateful for its chance to spread Her rites, words and hymns via this medium! It was put together during a revelatory state of soothsaying under the influence of absinthe back in 2007. It originates from the concept of the temple below the temple within. Thus beyond the beyond is where we are building Their shining temple of faith and devotion! How did the whole concept developed? Did you have in mind the whole picture…band name, lyrical concept and the image before the music or did everything developed together? What philosophies, ideologies, or mystical systems have contributed most significantly to the thematic content of your work? Yes everything was in mind before there was ever any music recorded, all except the logo. 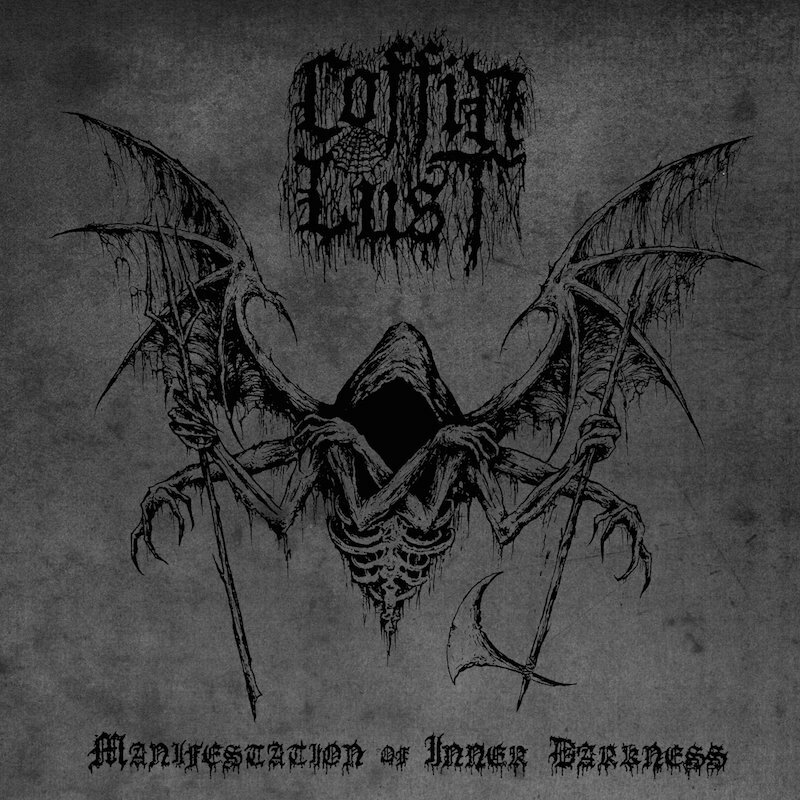 We intended to be the Black Mass put to music and that our most holy intention hasn’t changed, only got more firm, more steadfast! 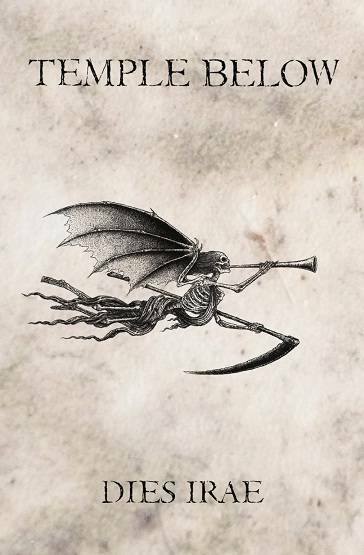 The band formed with the aim to be a Black Magic Metal coven of Death and will remain so! At that time we lived in 3 different countries and never intended to play live. We were welded together by our devotion and the cruel dogma for the glory of real Black Metal in eternal praise of the Gods of HELL!!! Im personally extremely influenced by the 218 current, which I hail as the most potent of all that I have read books from but we have no contact with them, beside that I am practising the teachings from Cultus Sabbati. I am of course a Devilworshipper myself. 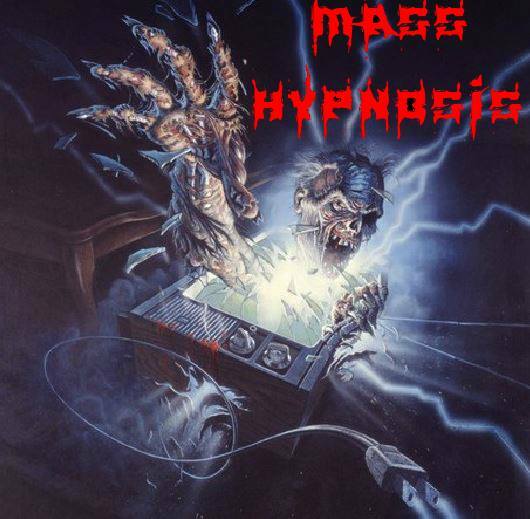 To me magic is the bullet in the gun, just like Satan is the prime instigator and sole requisite for Black Metal! 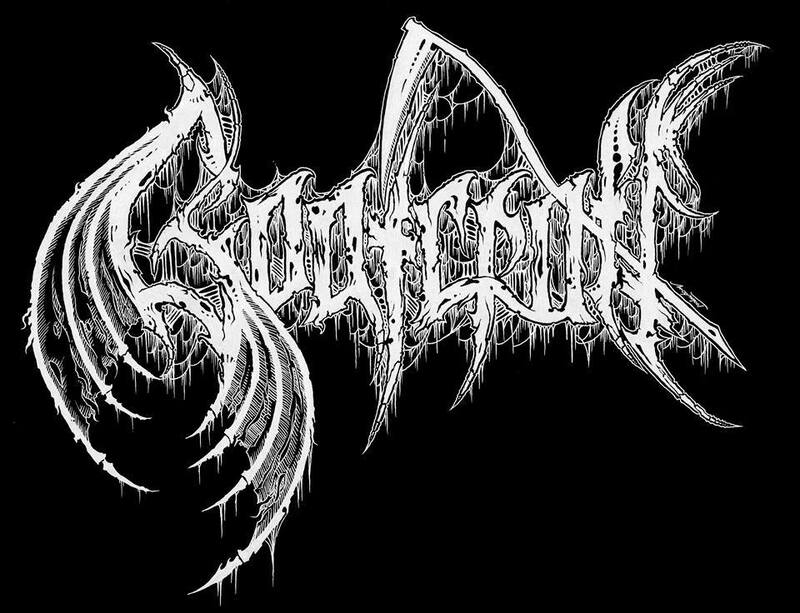 Without Satan no Black Metal and without magic and true purpose only impotent spells and screams are cast forth via the music! 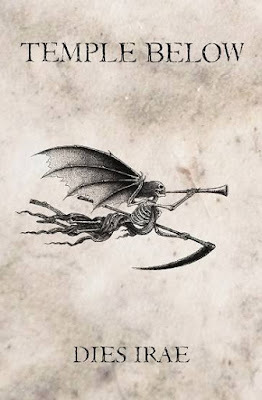 This is the Devil´s music so His deeds we MUST DO! Regarding the musical roots, what bands influenced the sound and style of Temple Below´s music? 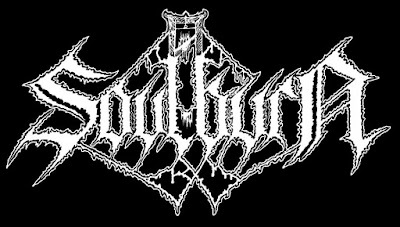 To play something along the tradition of Greek Black Metal. Just by opening our souls to the Darkness and Demons within and without, to verily become the vessels and heralds of the black living flame! 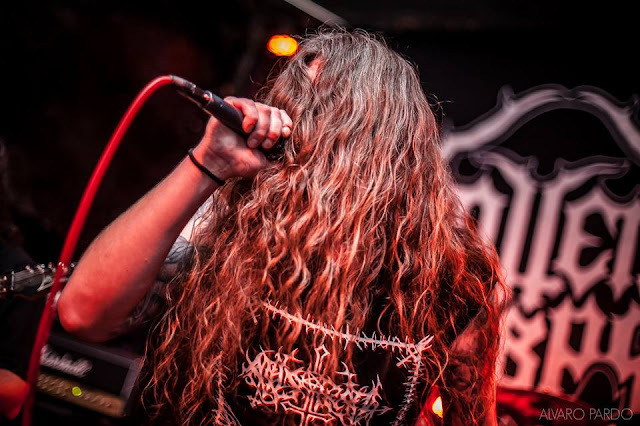 “There are no coincidences only magical patterns waiting to be unearthed”KJS S. Our lead stars in the Abyss are Varathron, Thou art Lord, Samael, Mortuary Drape, old Necrodeath, Blasphemy (we will do a cover of Nocturnal Slayer in Spanish next rehearsal hopefully) and Mystifier. These covens at least to me offered a more active occult side to the music compared to that was going on in most of Scandinavia back in 95-96, which occult speaking were the formative years for me. 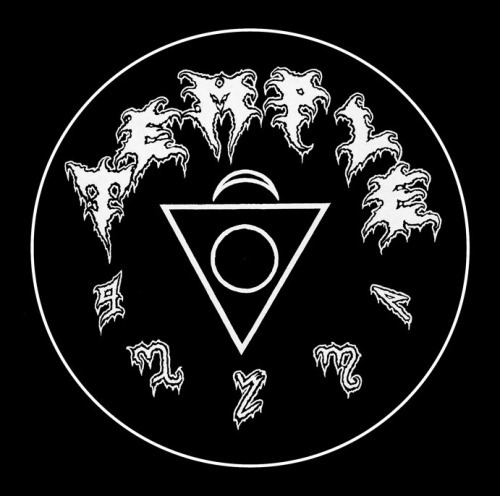 Your first demo "Temple" was released in 2008, the sound was really raw and eerie, and how would you describe the mood of the early days and the first creations of the band? 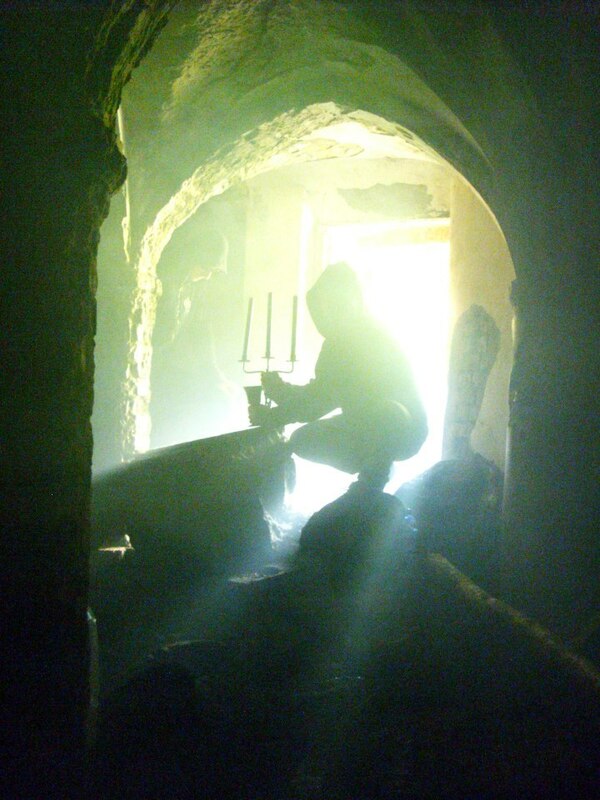 I find it possessed, full of Devilworship, blood-sacrifice and heavy of incense smoke. 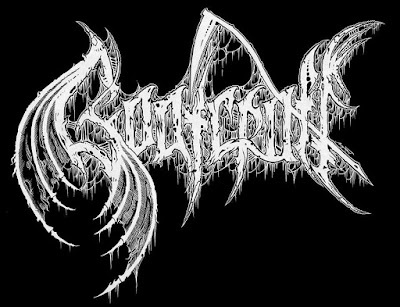 Very much in the vein of old Italian and Greek Black Metal. We were, are and will remain a shining beacon of devotion! Our only progression possible is ever more obsessed, even more occult and eternally ever onward to the Death and Beyond! Since our latest member joined then, who have played drums professionally for some old Swedish Black Metal bands since mid-90ths, it finally got the potency the drums needed to be a thunderous cavern of snake-rhythms and ritual war drums! 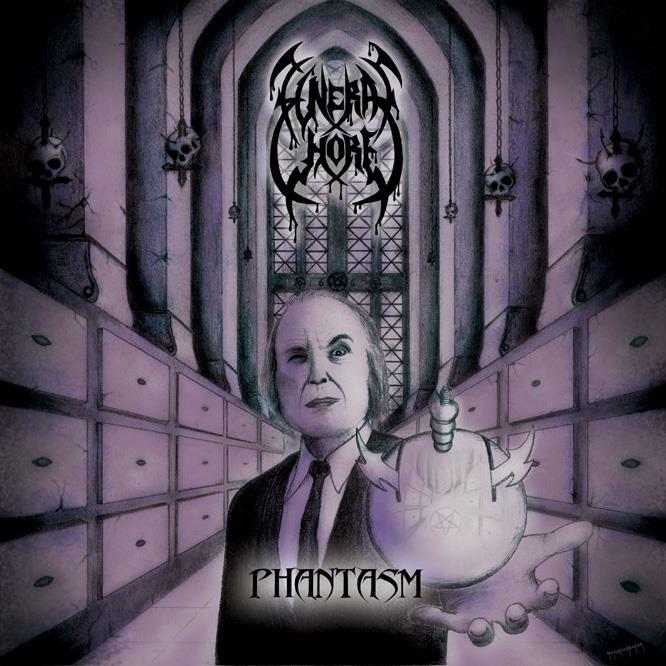 The cover-artist is Daniel Corcuera, aka Nekronikon. He have done all other art for Temple Below so the choice was obvious, he match our music and perfectly understands our weird, intricate and demanding requests. We gave him quite many directives but as always he made something completely beyond what we could have imagined. He made something volatile, something that ties all together yet set it free and unbound the dormant force, his art makes all our releases come alive, thus making the totality far greater than the individual parts as with all great magic! Beside him I could only consider to work with David S. Herrerias, Denis Forkas and Timo Ketola for Temple Below. The release is an eschatological one focused on Armageddon and world Death and the white phase of al-Khemia. The ritual versions contained lyrics stained with communion wine and stolen oblat host wafers thus making them a communion of Holy Death and Sacred Destruction! 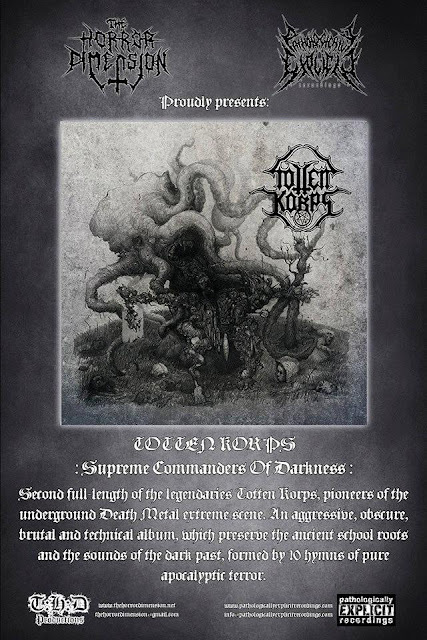 The release of the Dark Goddess will mean for sure a huge event in the bands career and a major presence of the band name and reputation of the band in the whole scene. How was the creation process of tDG, the song writing the rehearsals and the work on the whole album concept? Is there a spiritual or philosophical meaning of this record for the band? Is it a concept EP? Yes it will indeed be a grand eve for us! 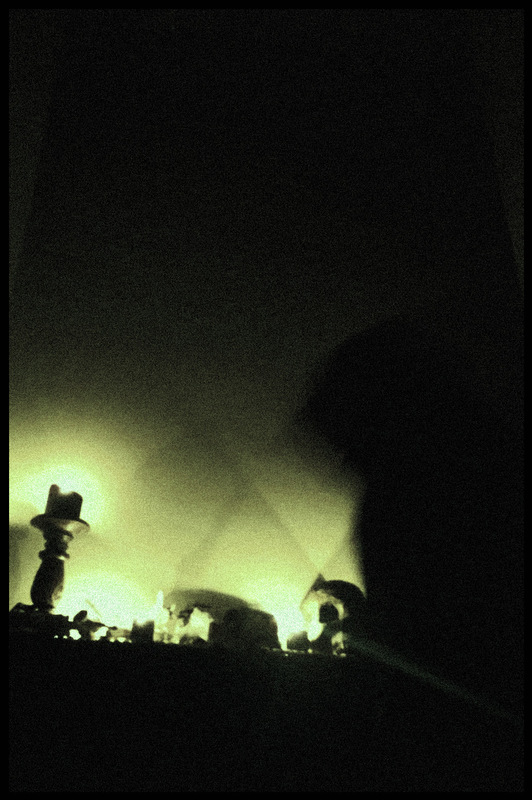 We had a quite clear vision of how it should manifest, mid-paced, keyboard leaden haunting Black Metal magic of doom. Needless to say when dealing with these kinds of forces it did not unfold like it had been foreseen. All members except me agree on that this whole recording have been cursed, many things have reminded of a light-version of ONE Grimoire of the Golden Toad and how its spirit refused its manifestation, here its rather been ordeals and various things morphing and changing beyond our control. I see it as a blessing, an unfriendly reminder that things beyond our control are running the show, a blessed curse. We have paid such high prices for its manifestation, which can’t be further discussed here. And the amazing organ parts that had been mapped out by a member from the Third Eye Rapists didn’t happen due to such circumstances nor did the mid-pace tone envelop etc. too many things to mention all. But beside that, both the music, the words of devotion and the art of the arte turned out in my not humble opinion in a perfect unity and emanating symbiotic synergy. A votive sacrifice that I with pride can lay on Her bloodstained altar! 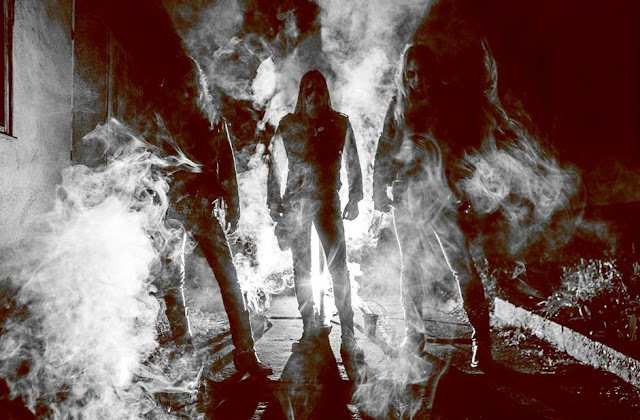 If there would be no spiritual or philosophical meaning connected to Satan and the pantheon of Hell it would Not be Black Metal! It is a theme album yes, but I don’t think it demands further explanation, just to listen to it and read the words of loyalty and devotion! 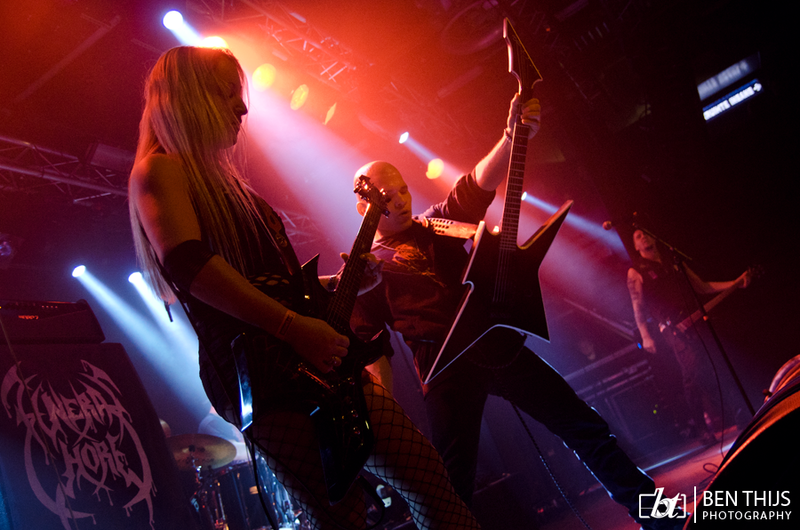 What is different from the Dark Goddess compared to “Temple” and “Dies Irae” in terms of production and song writing? None of the releases were recorded in the same studios and for this one I even refused to record my vocals with any human souls around me, I recorded it in my own Ummu-Hubur studio in which a frater of mine also recorded some vocals for the latest Nightbringer album. 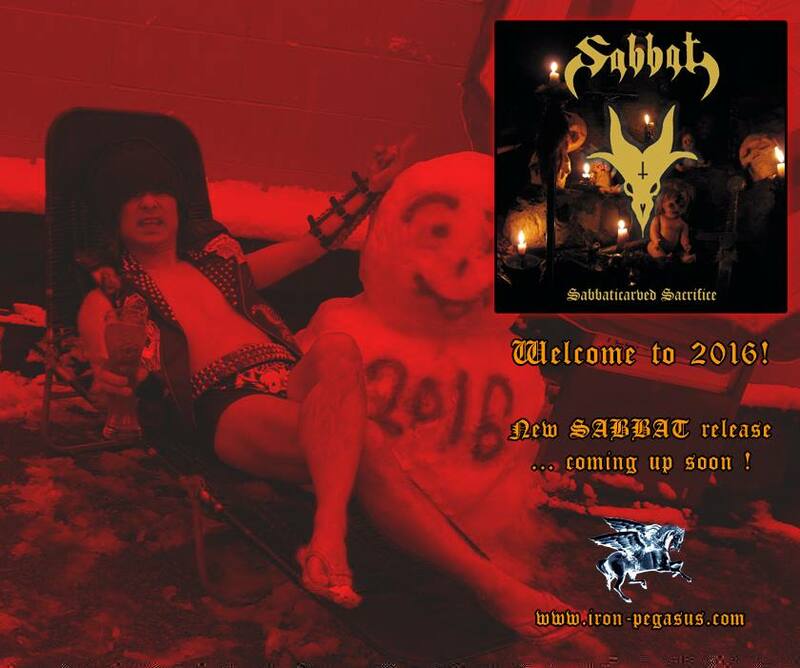 The new release is recorded in 3 different studios. Since I do not compose music, I merely have visions and do the lava mantras, I cannot really answer this. I assume the very act of creating both the aspects understood by its composer and those which cant nor should be grasped, all hidden agendas it entails, the various needs for manifestation along with the many reasons and goals will be as many as its practitioners. But rest assure our blood, sweat and tears were very literally split for our Gods and Their greater honour and glory! The tripanel artwork seems to have a complex and deep meaning, Is the artwork created specifically to accompany the music and, if so, how is the relationship between the art and the music cultivated? Yes it is and the inner layout as well to both reflect the inner journey via these Goddesses and an external journey as a novice to an initiate and then the cutting of the ties to life and Samsara. The art of the Black Magic Arte from Daniel Selfdesecrator well reflect the three Goddesses and the forth image which is made as a poster by the highly talented Nicola Samori both embody the ambient gateopening fourth song and to me can also be regarded as a synthesis between all four and as a representation of Naamah Queen of the Gateways. We are also endlessly grateful not only to Daniel but also to Nicola Samori who humbled Temple Below by letting us include a painting of his of in this our sacrifice to the Dark Goddess! Im more proud of this than any other release I have participated in over the last 20 years. To see that the release of the Dark Goddess, after years in preparation, finally draws neigh its point of manifestation brings a bittersweet taste like wormwood and sulphur to my foul demonolator mouth. The vision of this release was largely my own poisonous brainchild. I have been unbearable in my possessed and hypomanic state concerning everything involved in it; from the design, to the music, to the mixing, which VK did a killer job with by the way, to the art, all of which may have attributed to the other members leaving the band is to me fully understandable. Nonetheless being so obsessed was really worth it, as it seems we are about to reap a plentiful bounty for Her greater glory via this release. In my mind the closer the manifestation of ones vision comes to that original searing lightning thought of initial gnosis when first borne in the shared psyche of sorcerer and serpent and cast forth bright and swift to the waken mind during hypnotic states of visionary madness, when these visions manifest with minimal compromising of that first immaculate ray of divine inspiration, it means to be one step closer to the distillation black golden goal. It means that this filthy, confined and limiting universe of the dying weltering gaia can no longer with her loathsome filters shackle us nor pollute and dilute the thoughts of resistance and destruction harboured in the black hearts of the chosen. O´ quicken and chasten us with your fire, hasten our black inner al-Khemia! We do not put = between the different Goddesses, we rather explore the uniqueness within and without the lore and love of each of the Goddesses we have devoted ourselves to. As the soothsayer of the temple I personally work with a myriad of gods and goddesses and so other members of the coven, I primarily work with Goddesses, and of those these three along with Tiamat, Kali and Naamah are the prime goddesses of my home-hearth of perdition. There will also be 33 ritual editions of this release for sale only through me. Full Rites will be included in the very limited Ritual edition. Instructions for one rite for each of the Goddesses we pay homage to. The one for Lilith is written by Asenath Mason and a soror of hers, here used with her kind permission. In addition to that I will also include a terracotta-figurine of one of the Goddesses as ritual focus, a seal in clay which is created within the canon of the Temple Below and there referred to simply as the seal of the Dark Goddess, the conjoined currents of the triune void and which sterile middle circle also works as a tunnel for Her black lunar menstruum. Furthermore I will include an incense of my own making, sand from the Red Sea and 3 obsidian arrows, each one different to reflect the various facets and aspects of the Three in order for them to; pierce our hearts, cut the bonds of Samsara and fixate our path. Finally I will also include a pomegranate kapala. 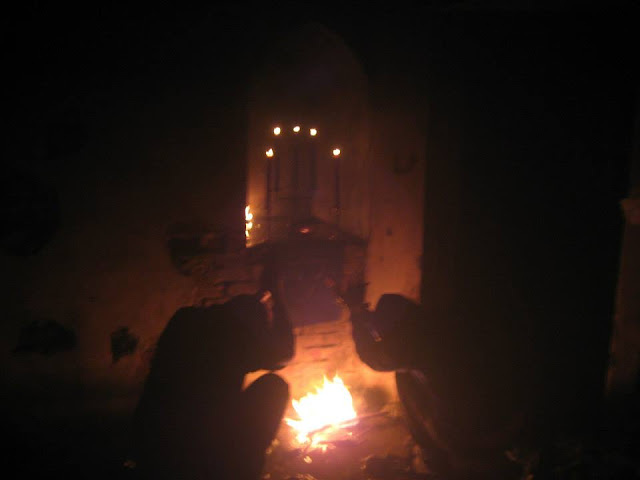 Each object have been consecrated and blessed under the auspices of Black Luna for a minimum of three nights and some of the ritual items for over a year. HAIL LILITH! HAIL CCHINNAMASTA! HAIL HEKATE! 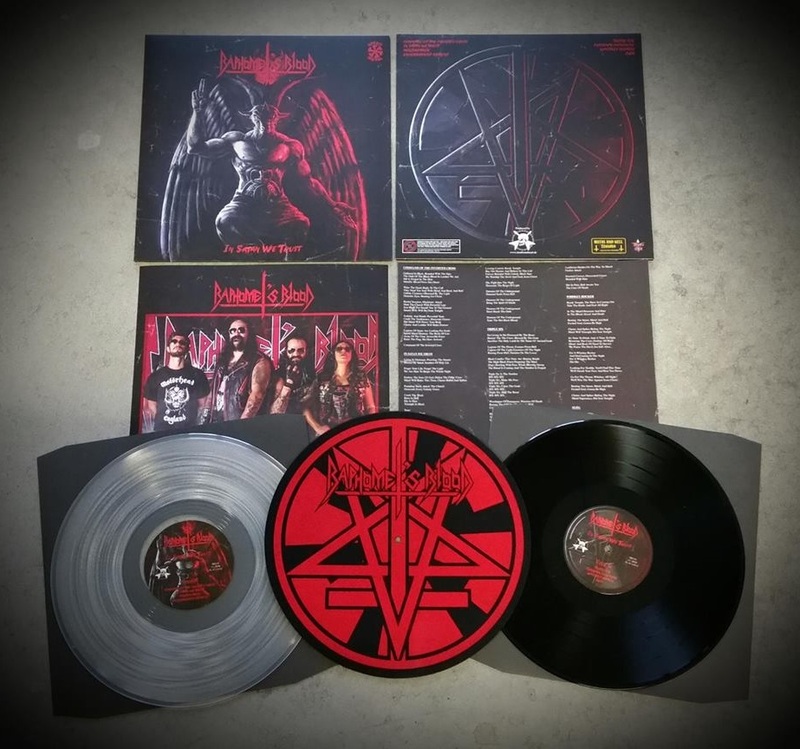 11 copies that will be distributed privately amongst our own lines and circles, 11 copies of the LP and 11 copies of the CD will only be sold to those who deserve it= are serious about the religious commitments and the ritual undertakings that comes with the practising of Black Magic and living and dying for Black Metal! This is how Euronymous intended it this is how it should be! Be gone ye profane! If you do not believe in Satan and the pantheon of Hell you are worse than the enemy for they at least believe in their God and prophets! Hekas hekas este bebeloi! In your facebook page there is one gallery dedicated to छिन्नमस्ता [Cchinnamasta], as well as Trivia Ekati, please let us know more about your interest towards this. It is not an interest it is a way of life and death for me, not a single day have passed over the last 3-4 years during which I have not paid my respects to one of my 3 prime Goddesses. During the four years between the releases I have personally become increasingly eccentric, manic, mad and uncontrollable which in itself have been a sacrifice and an ordeal. This have largely been attributed to my way of life as a recluse hermit of sorts and also for the isolation which have been demanded and deemed necessary for the writing of my book for Her and the undertakings of Her rites in a suitable fashion. I have even refused to record when other living souls were around so things like that factors in. We wished with this release to commit nothing but a pure glorification of the 3 prime Goddesses which we serve, to act as a portent portal and yet as gateopener to Her mysteries! A true labour of Love and Devotion it has been to drink Her wine of Damnation and spill our blood for Her! The song Ave Trivia Ekati is a working rite that needs no adaption; me and a frater in Greece have practised it and found it highly potent. I also include a pathopening mantra here for contacting Hekate; Enovida, Propylia, Lykania, Tricephalus x minimum 13 times. The song May worlds bleed for Her honour only needs some of Her names of power for it too to be a working rite in itself, find some included at the end of this interview. Mahavidya Cchinnamasta contains Her fierce mantra within it, and when used alone should be done ca 111 times Srim hrim klim aim Vajravairocaniye hum hum phat svaha. The track can work both as a meditation, a pathworking/visualisation and as a rite in itself. Finally the fourth track is both a true portal/pathopener to the Black Madame behind the mirror as well as a transmission from Her. 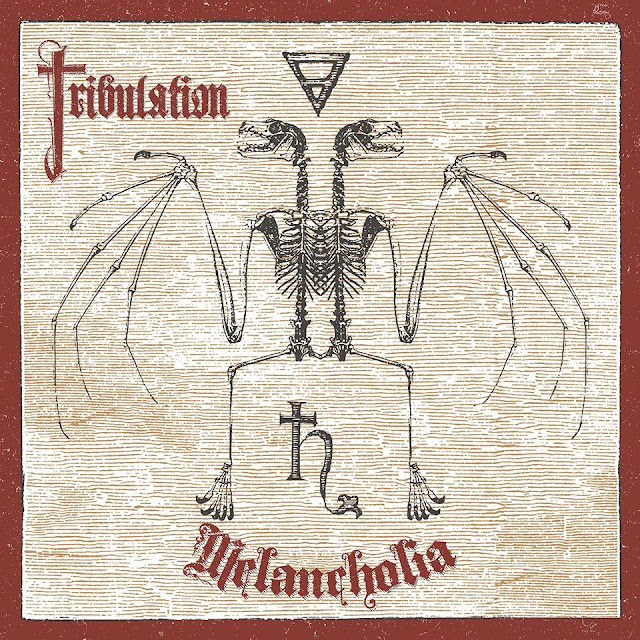 It is composed by the genius TWZ and he really channels tangible darkness and madness, a disturbing presence is always felt when listening to this track and as if someone is standing behind you and breathing cold mist on your neck. 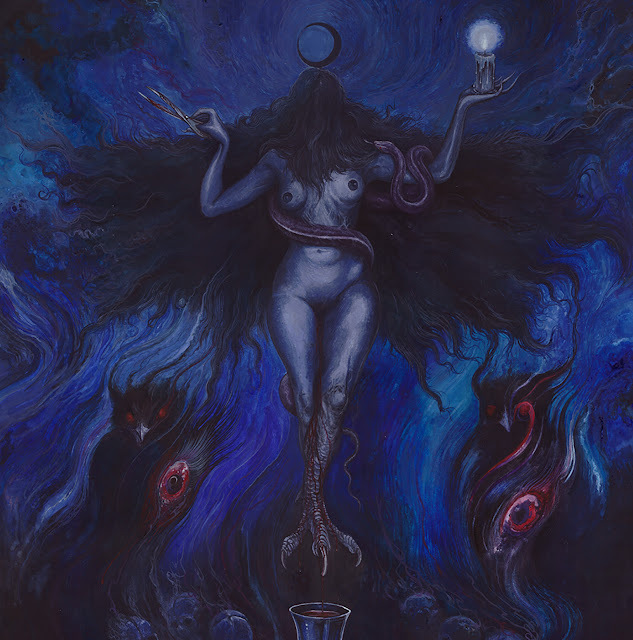 Listen to it in total darkness or with a single purple candle as the only source of light to align yourself to Her divine and royal line of witchdom. Sit down, close your eyes and let the darkness embrace you, feel it manifesting and seething… Open up and receive! Are there are band members that also play in other bands as the rumours says? If so are there any kind of influence from those bands reflected in the music or attitude of Temple Below? No, there are no band-members who play in other bands! Of the founding-brothers I alone remain after this release in the coven. Three of the four founding members of the coven have other bands as well and due to the success of these bands over the last few years they have chosen to focus on them instead. I fully support them and understand their choices since those are some of the best bands in the underground right now. The drummer who joined us for the recording of Dies Irae now accompanies me. Since he master all instruments he also composed parts of the Dark Goddess but he did not play drums on this release. Upon his return from India he will be the primogenitor of the musical aspect to this fierce vehicula driven by mad devotion and known as the Temple Below. We are influenced by many bands but none of which the rumours say we had members from, no. Temple Below is described as an international band, with members from Chile and Greece, where is the band actually located? Are you in contact with other bands that you respect or sense some kind of brotherhood with? There are very few bands whom I share even a similar or close to same religious devotion, dedication in damnation and vision with, that would for example be apt for us to share stages with. 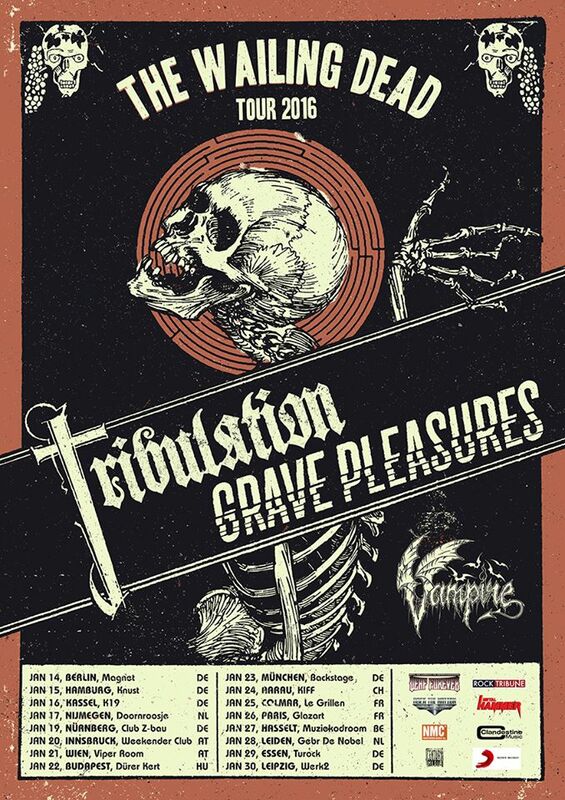 They would probably only be these that would suit to play live with; Acrimonious, Force of Darkness, Blasphemy, Trepaneringsritualen, Void Meditation Cult, Third Eye Rapists and Nightbringer. There are 2-3 more covens but those would probably be the covens which the old members reside in. Our coven is located in Greece and Sweden nowadays. 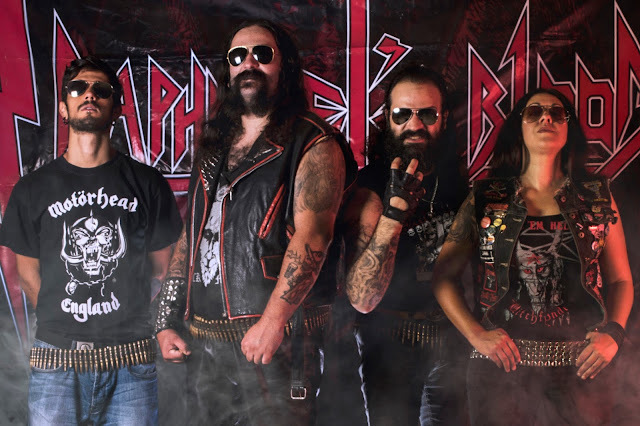 The mighty Iron bonehead Productions will handle the release of The Dark Goddess, how was it you ended up signing with them for the release of this record? Yes it is a big thing for us and we are grateful that Iron Bonehead and Blood Harvest will support us for this release. I cant remember if it was someone from Vassafor or Blasphemy that mentioned them to us or that one of our coven-members had met the boss of Iron Bonehead and talked about a pact. We are very honoured to be part of a label that is serious, professional and devoted. Blood Harvest we have worked with before and they too do a great work. What was the last album you bought / listened that you really enjoyed? 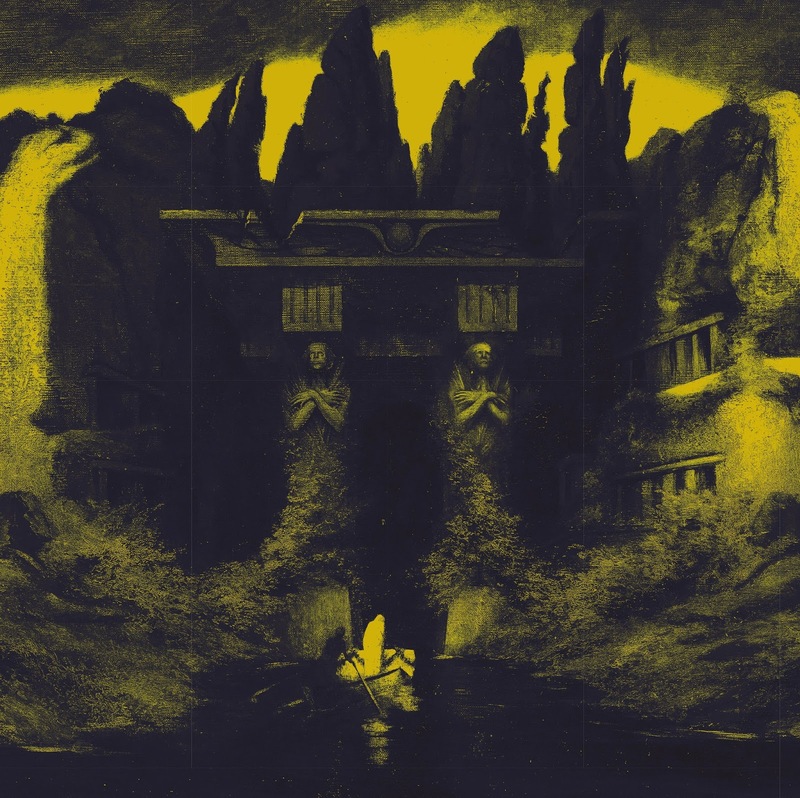 Capra Informis –Womb of the Wild, was the best magical infused m-lp of 2015, the album I bought and enjoyed before that was Henbane by Cultes des Ghoules [Yes! one of the best albums of 2013 - Chris]. As far as I know you haven´t performed live rituals yet, will you play live in the near future? Yes we will, we have just not decided How it will manifest and what would be the least filthy and degrading way to present our sonic rituals in. In fact we have done one live ritual, 2 years ago in the legendary DeathMagiccurrent 6 or DM6 studios in Chile, but that was more of a ritual with some music in and basically no spectators, just a handful of solemn participators from Force of Darkness and Wrathprayer. The rabid essence and flame of Black Metal must always be there. 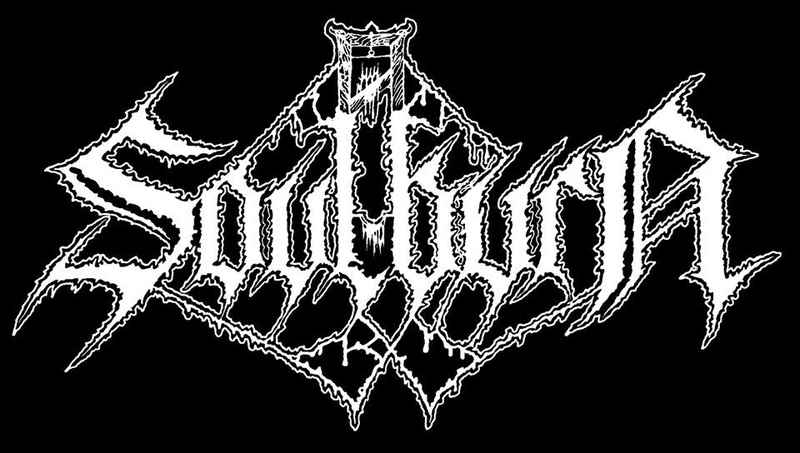 Black Metal should always be a sabbatical experience, like whirling around the flames in trance, drunk on blood and welcoming demons for possession of the flesh, possession of the mind! I am also convinced that Black Metal should be played live and who are we to question Our Gods? The perfect stage for us would be in a ghost-town close to a volcano in Chile, the town was laid to waste by an earthquake some years ago and its church have a big crack in it, so to play there was one of our visions of later years when considering playing live and yes that would in so many aspects be a close to ideal setting. We are also investigating playing in a deserted granite-quarry in Sweden, the quarry have a natural amphitheatre and there would be no spectators, we would only play for our Gods, a bit like a Black Metal version of live at Pompeii. We have also considered playing live where I hold my pujas outside, a place where great Horned Owls make their nests and gather their young in the shadow of Lilith. None or all places of the world. After a while you discover that all places are the same because humans are the same. But I had some very violent and drugsoaked days in Estonia 15 years ago. Human lives doesn’t mean anything neither to them nor me! What are your current future plans, what do you expect for 2016? It might depend on the response this release will get, but a full-length album should be in the works. There will certainly be some kind of live ritual once we find members enough and a nexus worthy of opening the vortex of the Void to Tehom and Tiamat in. Both the Black and the Red Dragon seethes and dreams, within and without, beyond and between! Thank you! Here are some Power Names of Hers as a gift. These have been unearthed during my 2,5 yearlong research for the book She of the Night. These all be names connected to Lilith: ”I have nineteen names. One, Vestitza; second, Novadaria; third, Valnomia; fourth, Sina; fifth, Nicozda; sixth, Avezuha; seventh, Scorcoila; eighth, Tiha; ninth, Miha; tenth, Grompa; eleventh, Slalo; twelfth, Necausa; thirteenth, Hatav; fourteenth, Hulila; fifteenth, Huva; sixteenth, Ghiana; seventeenth, Gluviana; eighteenth, Prava; nineteenth, Samca”. Another set are the following: ”My first name is Gylo, the second Morrha, the third Byza, the fourth Marmaro, the fifth Betasia, the sixth Belagia, the seventh Bordona, the eighth Apleto, the ninth Chomodracaena, the tenth Anabardalea, the eleventh Psychoanaspastria, the twelfth Paedopnictria, the half name is Strigla”. Also the names Obizuth, Avezuha and Avestitza should be regarded as holy to us. Alongside with the sinister blackthorn, willow-tree, the pine-tree, patchouli and the bramble and briar. Io Io Hekate! Io Io Hekate! Io Io Hekate! Goddess Vāmamārga She carves my eye of Three! Mahavidya Cchinnamasta I owe it all to Thee! May ye one and all daily bleed for Her honour! Hail the Dark Goddess!!! 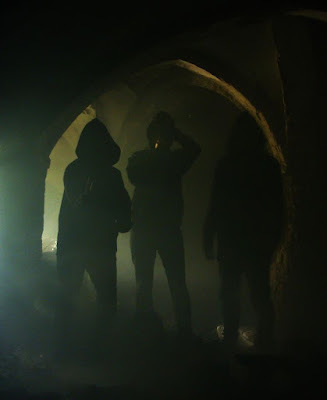 Iron Bonehead Productions will reissue "όλεθρος" the debut EP of the Slovakian trio GOATCRAFT. Originally released only on CD and limited to 500 copies last year by Hexencave Productions, "όλεθρος" will be availabe on 12" vinyl and the releasedate is February 22nd. The EP contains 13 tracks with an overall playing time of 25 minutes. 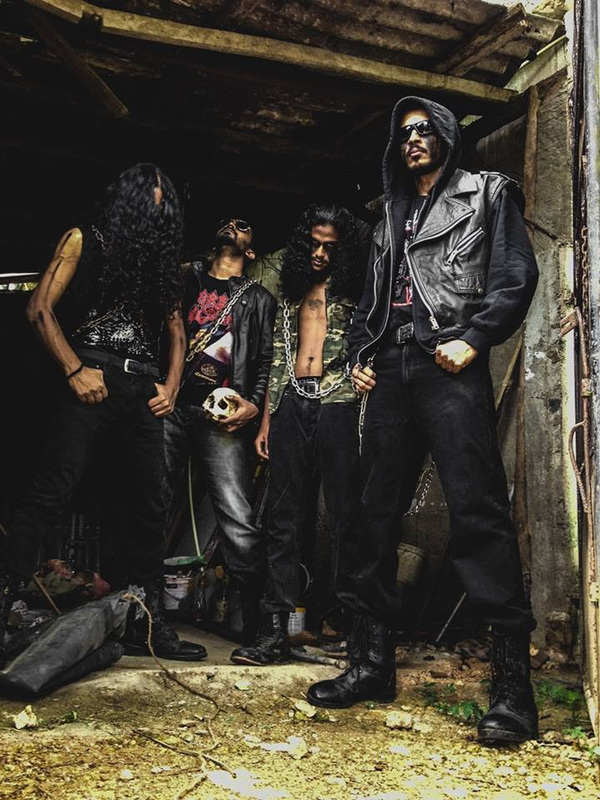 Check out the tracklist below and the track "Temples Of The Underworld" from their debut demo "απώλεια"
SOULBURN Official video for "In Suffocating Darkness" taken from the album "The Suffocating Darkness" 2015, Century Media Records. 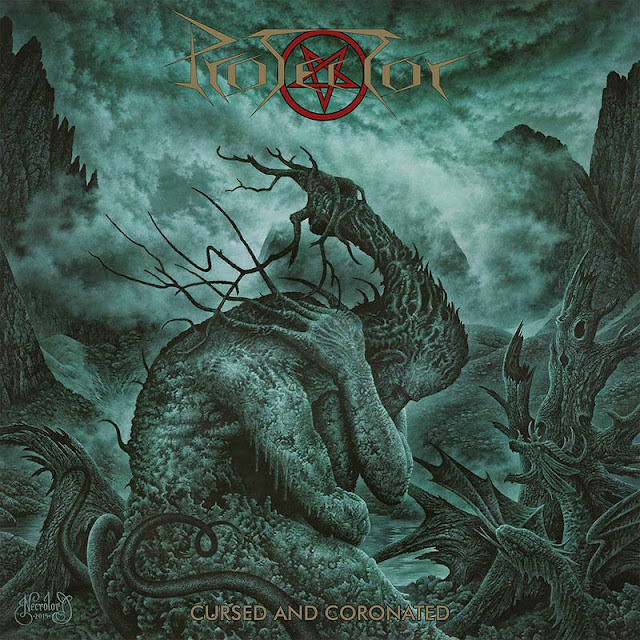 ROTTING CHRIST "In Nomini Dei Nostri"